Is a special world of God’s. В колокол храма своего сердца. Чтобы стать еще одним Богом. Is it not in your daily life? Is He not in your daily life? Не в твоей ли повседневной жизни? Не в твоей ли Он повседневной жизни? Do not interfere with God. The thunder of the doubt-war. To arrive at God's Palace. To enter into my heart-temple. Даже прежде, чем я зову Его. Will forever and forever stand. I am loving my prayer-life. I am loving my temple-heart. Особенно в храм наших сердец. 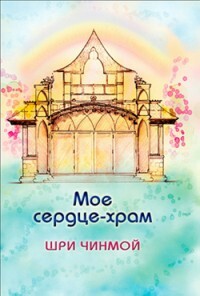 Войти в Храм Его Сердца. To come to His Heart-Temple. Is eagerly waiting for you. And not inside my heart. Into a temple of God-songs. Где я живу на самом деле? Where do I actually live?